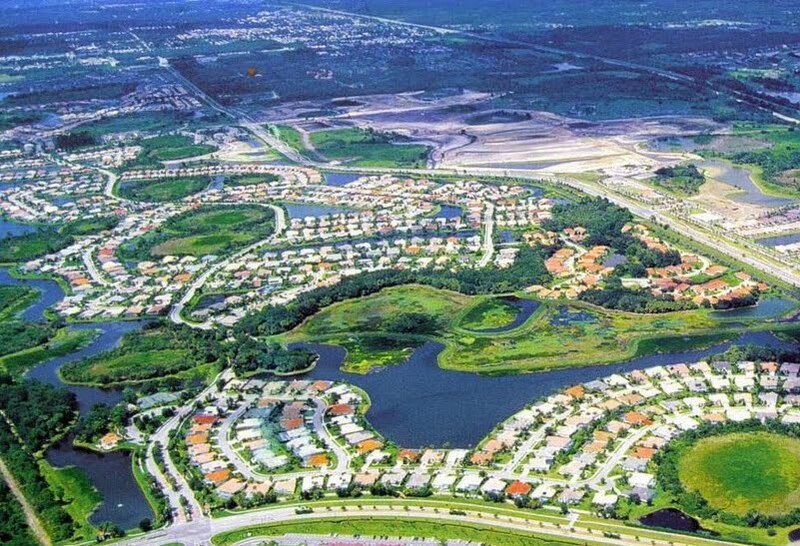 Prestigious Palmer Ranch real estate is comprised of a large master planned community spanning roughly 10,000 acres—the largest in Sarasota. Palmer Ranch itself is made up of over 25 neighborhoods, along with various commercial areas for homeowners to conveniently visit. Palmer Ranch was part of 80,000 acres of land originally purchased by Bertha Honore Palmer in 1910. Bertha Palmer was the wife of Chicago department store tycoon Potter Palmer and she began the trend of establishing winter homes in Florida. Bertha Palmer devoted much of her acreage to cattle ranching and citrus groves. In 1973 Hugh Culverhouse, Sr. purchased Palmer Ranch which was then 11,000 acres, eventually developing the area. One of the most beautiful Palmer Ranch developments, Turtle Rock is a deed restricted community of 750+ single-family homes and villas set in the most picturesque, serene landscapes around. Turtle Rock homes range from 1,800 to 3,300 sq. ft. Two sub-divisions within Turtle Rock, Savannah and Somerset, offer maintenance-free homes—perfect for those buying vacation homes or who simply want to live a more carefree lifestyle. Turtle Rock is an attractive area for families, young professionals, and retirees alike. The neighborhood affords tranquil privacy while also easily accommodating those who love an active lifestyle. Turtle Rock residents can also feel comfortable in knowing that the neighborhood is gated. It has two controlled-access entrances located at Palmer Ranch Parkway on the North and Central Sarasota Parkway on the South. Many of the single-family residences enjoy superb lake-front views on one of the 17 serene lakes or border one of the over 20 natural preserves. The lakes and ponds can be accessed by the residents for canoeing or fishing, while a 1.4 mile hiking Nature Trail winds through a preserve. The community recreation area is located just inside the south entrance and includes a geothermal heated swimming pool, two hard surface tennis courts, a basketball court and a fenced in playground for the younger set. The 1,990 square foot Community Center houses the office of an on-site Association Manager and may be used by residents for family get-togethers. Turtle Rock is just east of the Tamiami Trail. Residents are near the YMCA, the Westfield Sarasota Square Shopping Mall, numerous dining and shopping opportunities, and is only a 10 minute ride from the world famous Siesta and Casey Key Beaches. The 10 mile Legacy Bike Trail borders Turtle Rock on its west side. Golf lovers are near several prestigious courses, including the renowned TPC Prestancia course. While the physical aspects of Turtle Rock are truly spectacular, it is the tremendous sense of community pride which really sets Turtle Rock apart from other communities. It may seem difficult to comprehend the idea of a close community on over 500 acres. However, periodic social activities and clubs allow neighbors to meet and enjoy each other’s company. When residents are not socializing, they can increase their knowledge by attending one of the many presentations put together by the Turtle Rock Academy. One needs only to spend a short amount of time within the gates of this community to feel the harmony and understand why Turtle Rock is considered one of the premier communities in all of Sarasota.